Members of the public have been warned not to approach a prisoner who has been on the run for three months. 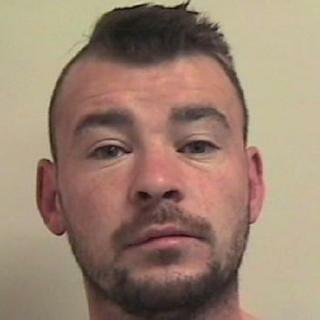 Sean Gallacher, from East Kilbride, South Lanarkshire, failed to return to Barlinnie prison in Glasgow on 19 November. Police Scotland are appealing for anyone with information about where the 29-year-old could be to come forward. He is described as white, 5ft 6in tall, of medium build, with short, dark brown hair shaved at the sides. The prisoner also has tattoos on his right forearm as well as on both of his hands. A police spokesman said: "We are currently working alongside our partners at the prison service to establish Sean Gallacher's current whereabouts and return him to prison."